We all know Facebook is most popular social media network ( and even most used website worldwide after google ). As always Facebook is in way to improve his user experience and keeping this thing in mind, it provide separate version for each device or platform. 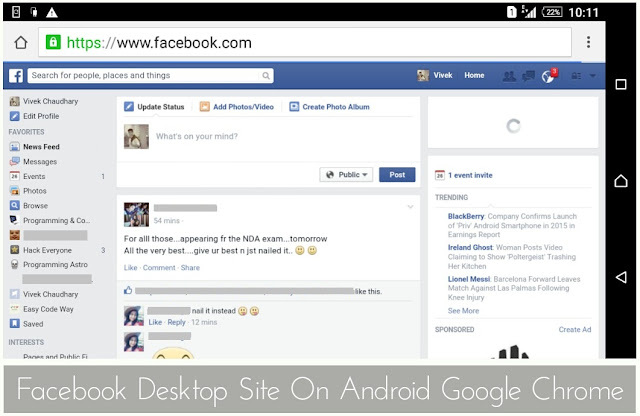 There comes a time in your life when you need to switch Facebook full desktop site on your android phone or Facebook mobile version on your computer. However there isn't any official way to switch between these versions. I think it is because of layout or data usage problem. Using incorrect version on any device may lead to layout distortion or high data usage. After a long research of 1 hour, I had found various manual ways which can help you to do this. First of all let me tell you the main reason behind using Desktop site on mobile phone. Desktop site provide Complete Structure and More Functionality. However some of the features may be hidden in mobile version. In case of Facebook, it's a long list and if you are Developer or Group/Page manager, list goes on. Coming back to the point, there are 2 different ways you can try. I prefer to use Google Chrome for it. If you don't have, then please go to play-store for download. Before using any of the method below, login to your account first. Make sure that you have used "www", otherwise it will not work and automatically redirect you to the default android mobile version. 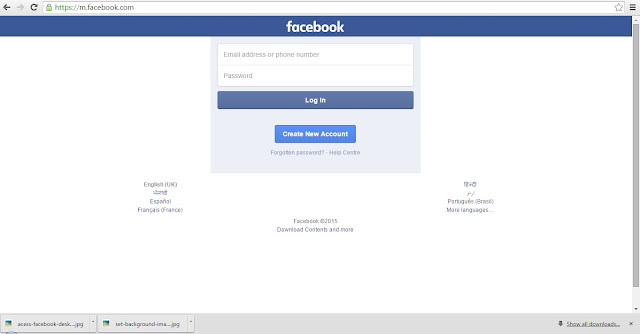 If login page appear, then sign in first & try again. Once you are switched to desktop view, all followed links will be opened in same version. As you close window, changes will vanish and you have to add home.php again next time. This method work in all popular browsers. I am using google chrome here. Being a part of google, chrome is most loved browser so far and provide variety of inbuilt functions to help normal users as well as developer. One of most loved feature is "Request Desktop Site" option which let you move from mobile version to desktop directly in one click. First open browser normally and then click on option button ( three dots available right to the site URL tab ). After this a long menu list will appear. Find and Click "Request Desktop Site" option as shown in below picture. Simple "tick mark" the button next to it. Now go to normal Facebook site www.facebook.com and boom. See the magic. Tip : While using desktop site on your android mobile, rotate your screen in order to get better view and more accessibility. Don't add "www" before "m.". After this wait until page is completely loaded. 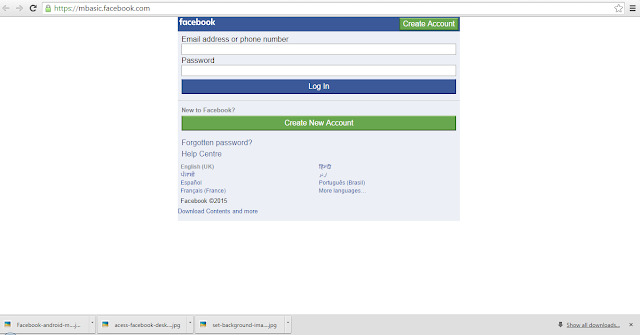 Using this method you will be redirected to android mobile version of Facebook which will look something like in below picture. Again don't add "www" before it. This method will redirect you to the simplest layout fb format ( having no extra graphics ) which can surely help to reduce data usage. 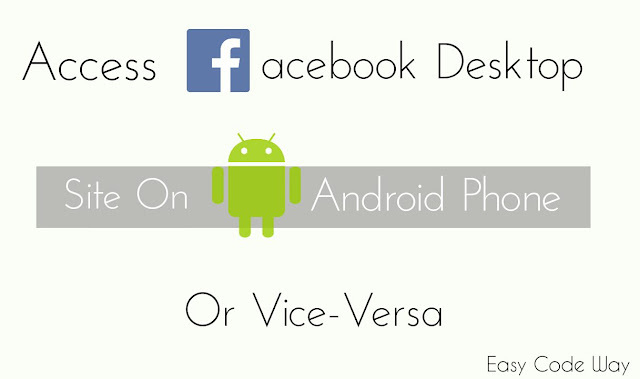 So this is all about how to use Facebook mobile version on computer or vice-versa. Hope it works for you. Choose any one method which suits you best and enjoy. If you have any query, please ask me in below comment form. What other helpful results did you find using this trick? Let me know!